Just over a month after the first adidas Dragon Ball Z battle came to fruition, the second pairing will hit stores, featuring a Prophere for Cell and a Deerupt for Son Gohan. 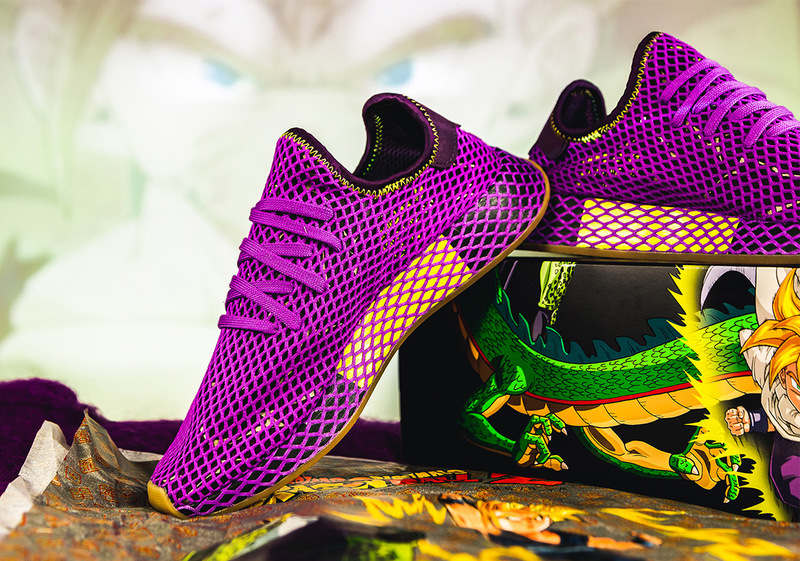 Just like its predecessors, Gohan’s upcoming Deerupt hinges on its incredible attention to detail, featuring a Shock Purple and Shock Yellow color scheme that draws inspiration from the hero’s primary look throughout the show’s lengthy history. While not as instantly recognizable as Goku, Gohan is the chief protagonist’s eldest son and is known for having a number of the lengthiest battles in the anime series’ lore. Cell and the purple-clad Saiyan will always be connected, as many die-hard fans of DBZ cite Gohan’s defeat of Cell as his main character arc. His purple Gi comes represented by this Deerupt’s mesh overlays while hits of golden yellow sprinkled throughout are resemblant of his hair that constantly changed lengths. Finishing details include a custom set of co-branded insoles as well as a highly detailed box design that helps tie together all seven of this collection’s releases. Pairs are slated to arrive at select retailers on October 26th – alongside Cell’s Prophere – so enjoy a detailed look below as well as our where to buy list that will continue to be updated until its official drop.